This math craft for kids will have your children excited about learning arithmetic! Post contains affiliate links. Are you one of those people who think it is impossible for math to be fun? Or maybe you are having a hard time convincing your children that they can learn math through a game. Either way, you are about to see how easy it is to make math not only fun, but a game that your children will want to play over and over again with this fun math craft for kids! What goes better with summer than watermelon? Now you can teach your kids basic math facts using this fun fruit. Below, you will find out everything you need to know about how to play Wild and Wacky Watermelon Math Games math craft for kids! This summer math craft for kids is perfect for a rainy afternoon, or even under a shade tree on a hot day. Just because it is summer, it doesn’t mean it is time to take a break for learning. Allow their brains to be stimulated all summer when you give these Wild and Wacky Watermelon Math Games a try. First, let’s take a look at what supplies you will need. Supplies needed for this math craft for kids can usually be found around the home! You can find all of these items at your local dollar store for just $1.00 each. So aside from being a fun and education activity for kids, it is a frugal one for you as well! Using your paper plate as a stencil, trace out circles on your green construction paper. Now, cut out a small circle in your pink construction paper. Cut out several dozen tear shaped pieces from your black construction paper. Set aside in your plastic baggie. 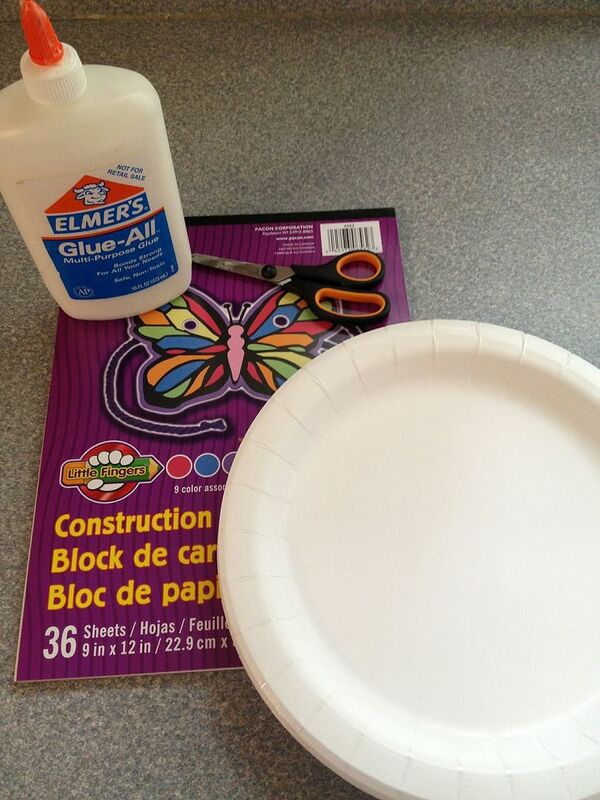 Glue the large green circle to your paper plate. Press firmly and allow to dry. Glue the smaller, pink circle on top of the green circle, making sure it is centered. Press firmly and allow to dry. Once your plate is dry, cut it in half. Cut each half again, creating fourths. Once you have your watermelon slices, take your baggie of black watermelon seeds. Placing your watermelon slices flat on the table, glue the seeds on each piece starting with one seed on one slice, then two seeds on another slice, then three and so on. Continue until you have slices with anywhere from 1 o 10 seeds on them. Have children line up the slices numerically one to ten. Present the child with two slices and have them add the seeds and find a slice with the answer. Create number patterns with the slices. Or, put all of the slices back into a circle and practice those skills of identifying half, quarters, etc. 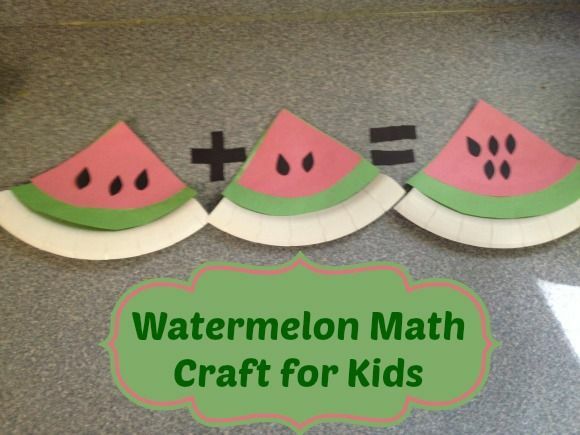 There are so many fun ways to use these watermelon slices to teach those important math skills. If you wish, you can even cover your slices in contact paper to make them more durable and last longer. Let’s keep those little brains going this summer! Give these fun math craft for kids a try and see how easy it is to make learning fun. Want to take the learning even further? Check out our science crafts for kids, including our mystery ink craft and how to blow up balloons with gas! That is unbelievably adorable. Perfect for summer learning! Thank you so much, Felissa! So fun and cute! I’m all for making learning fun! Me too! Kids retain things so much better when its visual and fun! What a great way to keep the kids engaged during the summer. They always need to practice the basic facts or they will forget over the summer! You’re absolutely right, Kerri – my kids loved this and helped keep their minds fresh! so creative! my daughter would love this!